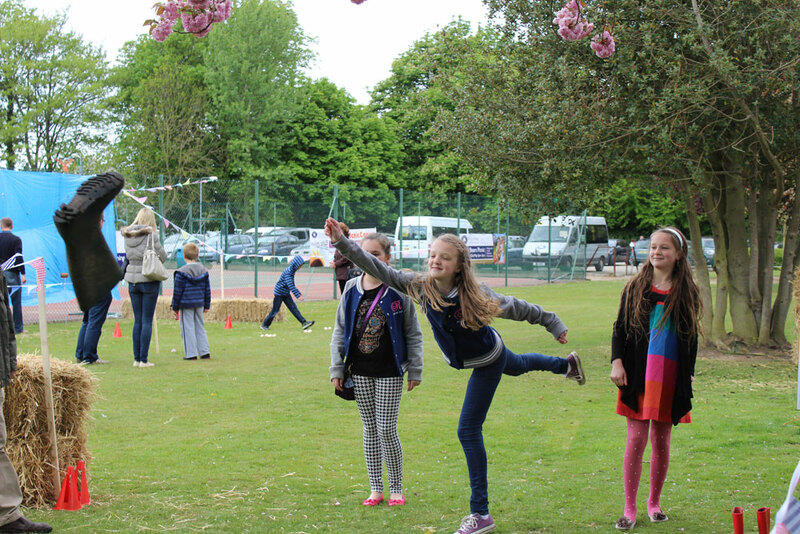 school fete | Hethersett Old Hall School (HOHS) blog - an independent day and boarding school near Norwich, Norfolk. 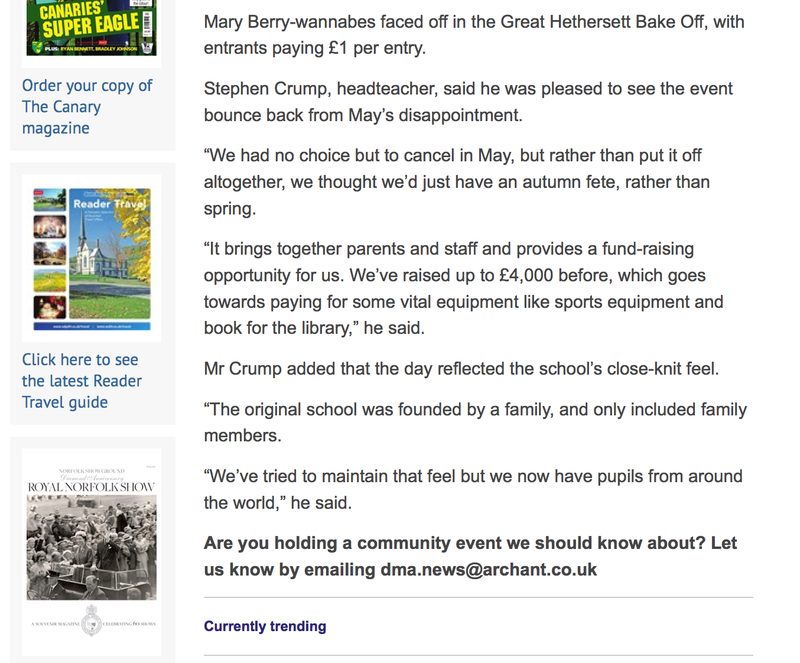 Our school fete makes the news! 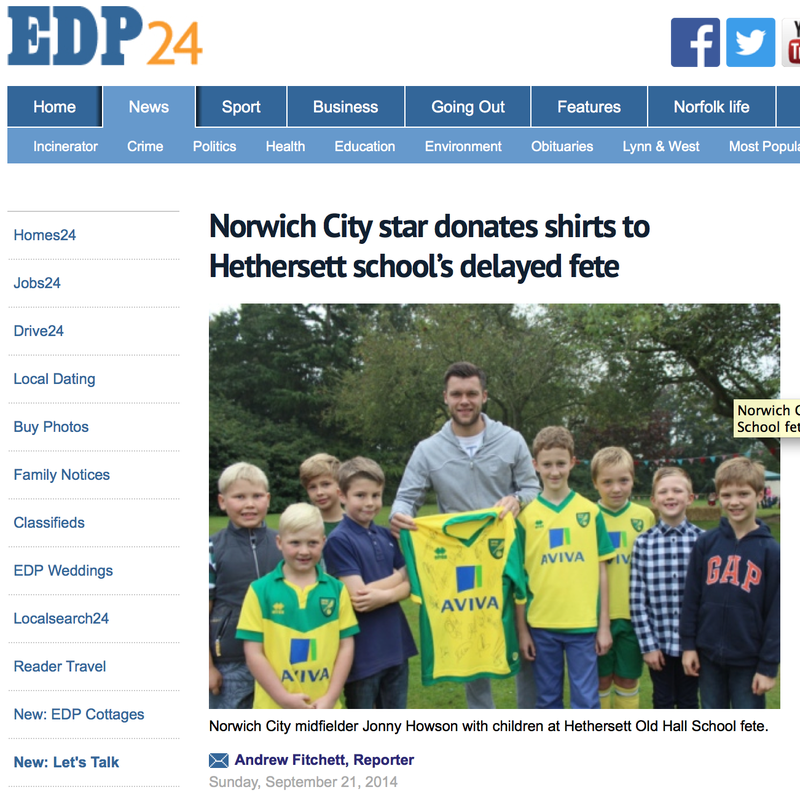 If you haven’t spotted it yet, our school fete is currently being featured by the EDP24. 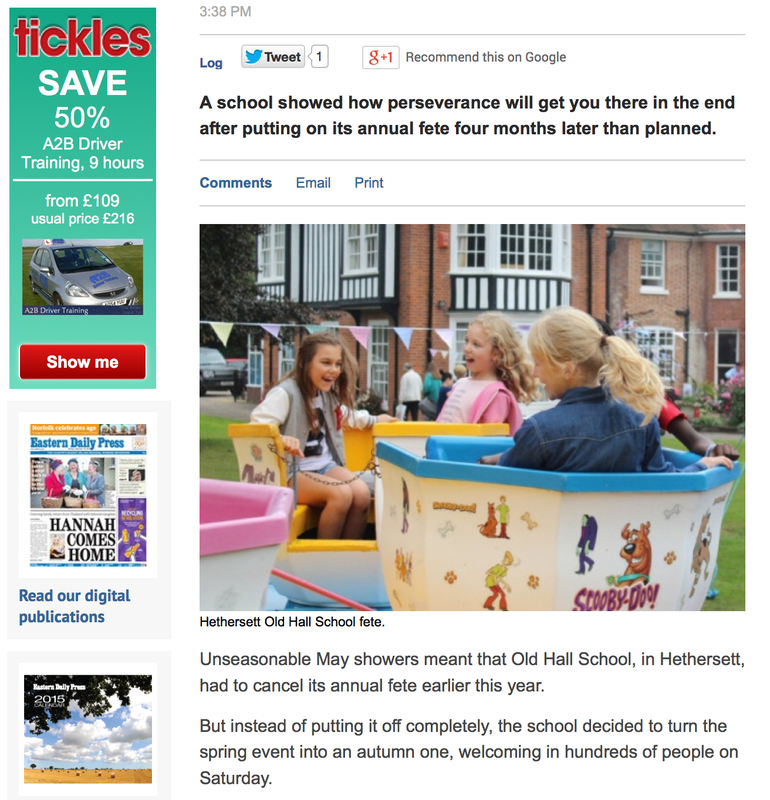 Categories: HOHS EVENTS, HOHS PA, IN THE NEWS, OTHER NEWS, PA EVENTS, SCHOOL LIFE | Tags: 2014, girls boarding school, Head teacher, Headmaster, Hethersett Old Hall School, HOHS, independent girls school, pass rates, private school, school fete, senior school, Stephen Crump, www.edp24.co.uk | Permalink. Just a reminder that pupils need to arrive at school by 11am tomorrow so that they can help to set up their class stalls. P.S. 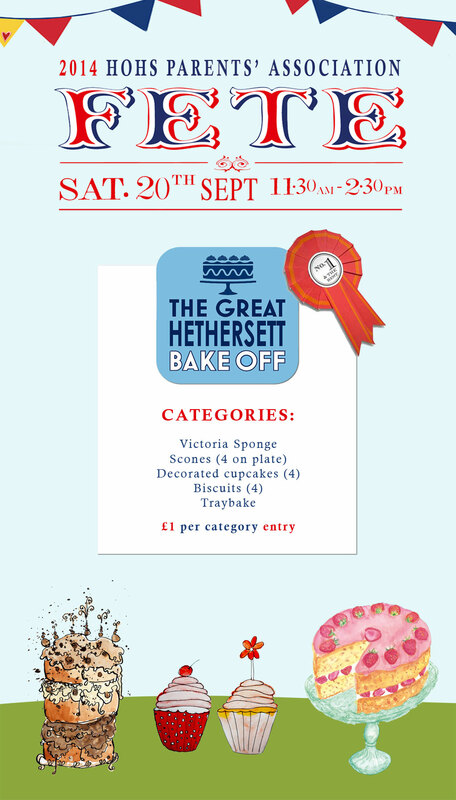 Don’t forget your entries for the The Great Hethersett Bake Off! 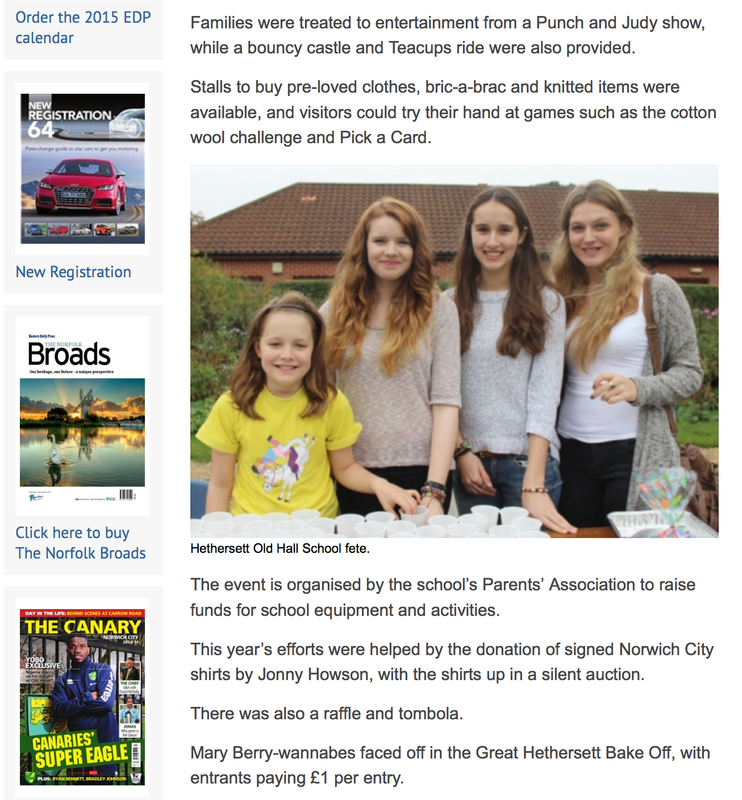 Categories: OTHER NEWS, PA EVENTS, PARENTS @ HOHS, PREP SCHOOL, SCHOOL LIFE, SENIOR SCHOOL, SIXTH FORM | Tags: girls boarding school, Hethersett Old Hall School, HOHS, norfolk, Norwich, nursery, Prep school, private school, school fete, senior school, SIXTH FORM, The Great Hethersett Bake Off | Permalink. 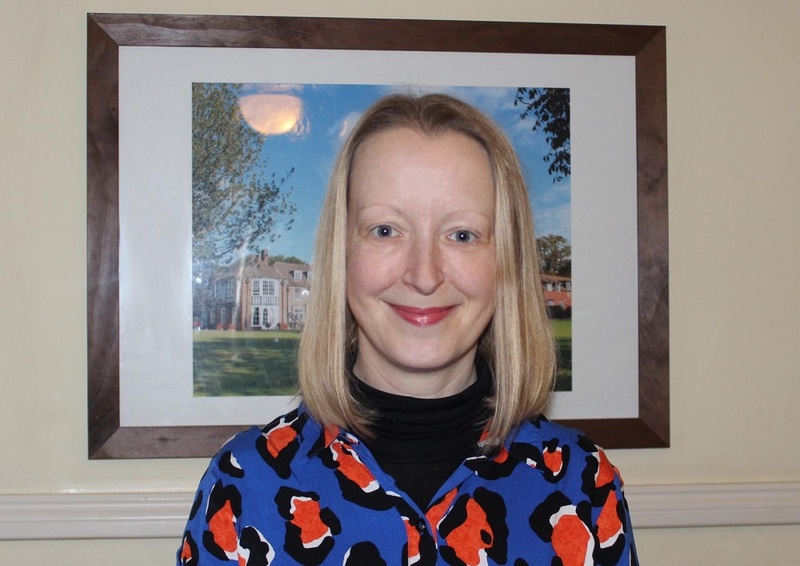 Keep up-to-date with some of the key events taking place this term, including Open Days and Options Evenings, Parents’ Evenings, PA events and of course the much-anticipated Snow Ball! Any new events and dates will be added to the Dates 4 Diary page throughout the term. Categories: Dates 4 Diary, HOHS EVENTS, HOHS PA, HOHS UPDATES, PA EVENTS, PARENTS @ HOHS, SCHOOL LIFE | Tags: Autumn Term 2014, bonfire night, Hethersett Old Hall School, HOHS, Independent School, Norwich, Open Days, Options Evening, parents evening, Prep school, private school, school calendar, school fete, senior school, Snow Ball | Permalink. 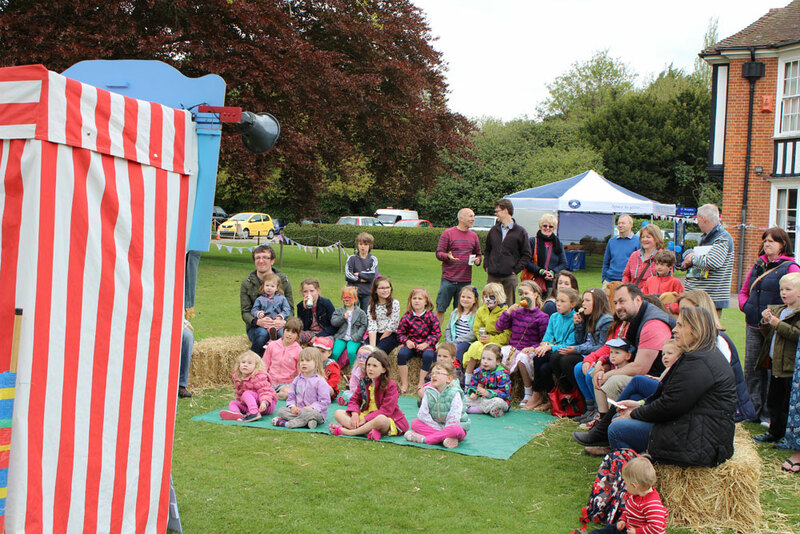 See all the photos from the PA summer fete. 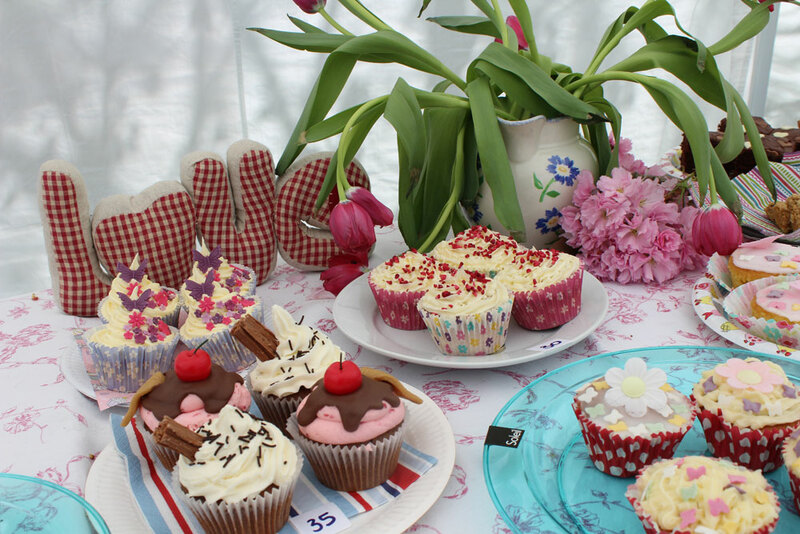 Categories: BOARDING LIFE, HOHS EVENTS, HOHS PA, OTHER NEWS, PARENTS @ HOHS, PHOTOS, PREP SCHOOL, SCHOOL LIFE | Tags: baking competition, Great Hethersett Bake Off, Hethersett Old Hall School, HOHS, Independent School, Norwich, PA summer fete, photos, pictures, Prep school, private school, Punch & Judy, school fete, senior school, tombolo, welly wanging | Permalink. 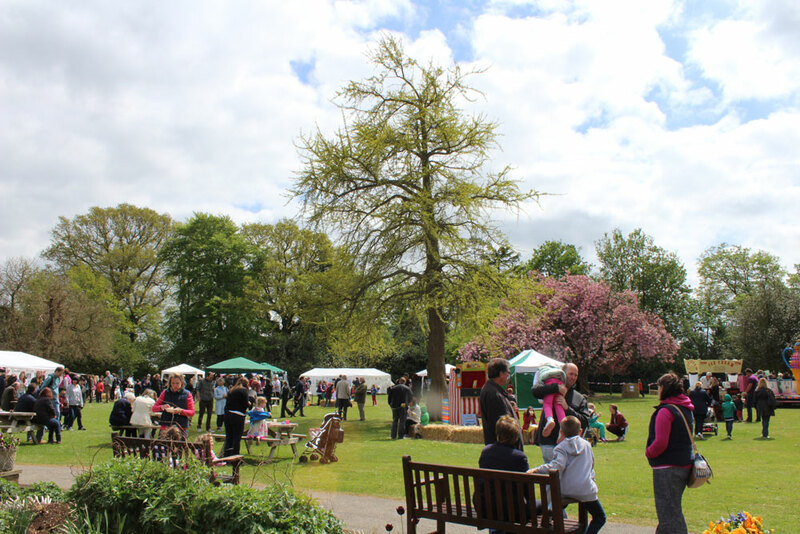 A massive thank you to all pupils, parents, teachers and friends of the school for supporting yet another hugely successful PA fete. Great fun was had by all and even the weather played ball! Updates on the monies raised and more photos of the day to follow soon. 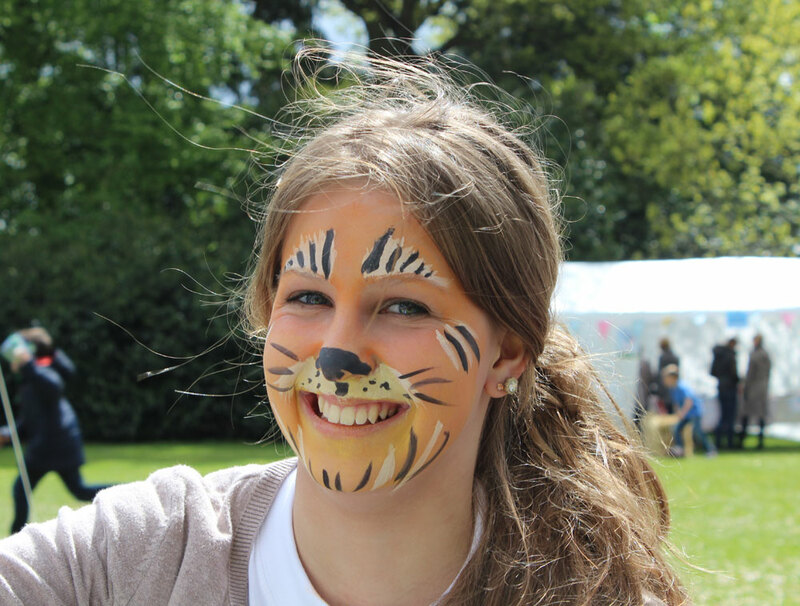 Categories: HOHS EVENTS, OTHER NEWS, PA EVENTS, PHOTOS, PREP SCHOOL, SCHOOL LIFE | Tags: face painting, girls and boys, Hethersett Old Hall School, HOHS, Norwich, PA event, photos, Prep school, private school, punch and judy, school fete, senior school, summer fete, welly wanging | Permalink.